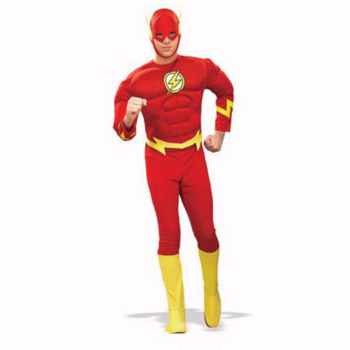 The Flash zooms around using superhuman relexes to fight crime and injustice. First appearing in 1940, the character has showed up in comics and movies to delight generations of superhero fans. #H263 Top has built in muscles. Pants have elasticized waistband. Boottops and cowl.